I chose the title for several reasons. Nick Bannon finds himself surrounded by the first sentient aliens to be encountered by humans. (As far as we know.) So he is awakened to the fact that we are not alone in the universe. Nick also becomes aware that hyperspace does in fact exist, and that it is traversable. 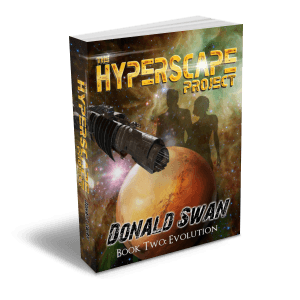 The aliens are awakened to hyperspace technology and its use as a weapon. The crew of the Ashok find out that an old Arisian prophecy is indeed true. Ah, here’s an interesting one that just came to mind. My awakening to the world of writing. I like it! Well that’s just some of the awakenings in this first book of the series. Hey, if you think of another let me know and I’ll post it with a thanks to you. 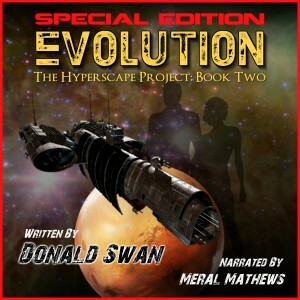 Oh, I wish I could say what happens in book two (Evolution.) But soon enough I suppose! 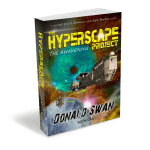 “I haven’t read a true science fiction adventure story in a long time. The start of a new series, Book 1 : Awakenings does not disappoint. It has all the elements I desire in a good space adventure story – a reluctant hero fumbling his/her way through new alien space, interesting and unique aliens, exciting twists and turns, a good overall plot and a whole lot of fun.